Objectives The aim of this study was to establish quantitative values for asymptomatic and symptomatic Achilles tendons. Design Cohort study with a single (cross-sectional) time point of patients diagnosed with unilateral Achilles tendinopathy and an asymptomatic group with comparative homogeneity. Methods A sample of 50 participants: 25 diagnosed with symptomatic unilateral Achilles tendinopathy (AT group) and 25 with asymptomatic Achilles tendons (control group 2). The asymptomatic side of the AT group was used as a control (control group 1). Measurements at 2 cm intervals on the tendon from its insertion at the calcaneum up to the musculotendinous junction were taken non-weight bearing (NWB) and weight bearing (WB) using the MyotonPRO. Results There was a significant (p<0.005) decrease in natural oscillation frequency (F) at points 2, 3 and 4 of the AT group (NWB condition) and points 2 and 3 for the WB condition. There was a significant (p<0.005) increase in logarithmic decrement (D) at points 2 and 3 signifying a decrease in elasticity. Dynamic stiffness (S) was significantly (p<0.005) reduced in the AT group at points 2 and 3 WB and point 3 WB. There was no significant difference in creep (C) observed between the symptomatic and asymptomatic tendons. There was a significant (p<0.005) increase in mechanical stress relaxation time (R) at point 2 NWB. There was a correlation between body weight and gender on tendon mechanics, with the symptomatic tendons. No significant differences were observed between the control group 1 and control group 2. The MyotonPRO measured decreased stiffness over a section of the tendon corresponding clinically with Achilles tendinopathy. 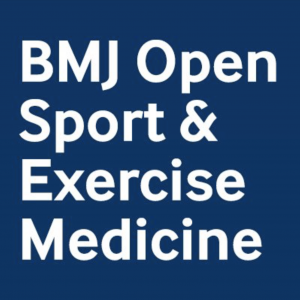 This may have potential in identifying risk of injury and informing rehabilitation, however further extensive research is required to generate baseline data for specific population groups monitoring variables over time. Age, gender and body mass index appear to have some bearing on the mechanical properties of the tendon but mainly in the tendinopathy group.